Perhaps, the best word for describing this interior is “naturalistic”. The thing is that this project features so much wood grain, that on looking at it one can’t shake the feeling that he or she got to a genuine wood. 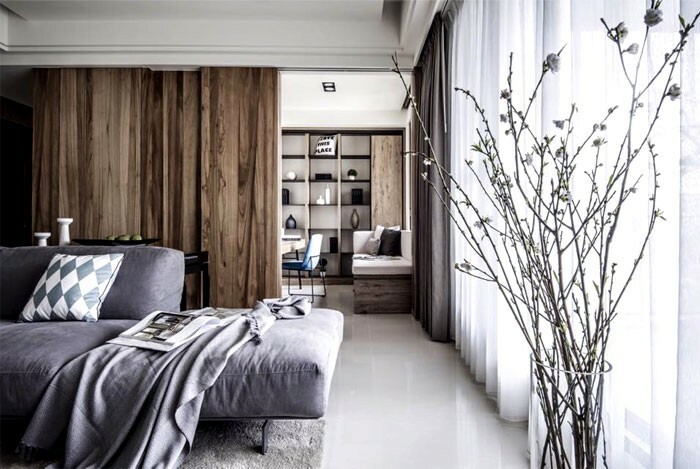 Complemented with purely natural colors that create the effect of multiple layers like in a true forest and furnished with absolutely laconic and minimalist items, this big-city apartment embodies a golden mean between urban living, countryside housing and natural environment. 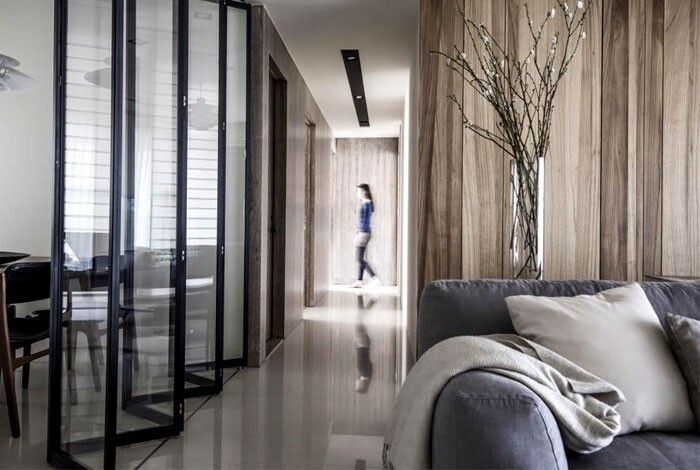 The authors of the project, RIS Interior Design Co. located in the city of Taichung in Taiwan, named it “anti-sinuous”. Such a peculiar name was primarily inspired by the initial irregular and extremely sinuous plan of the flat. 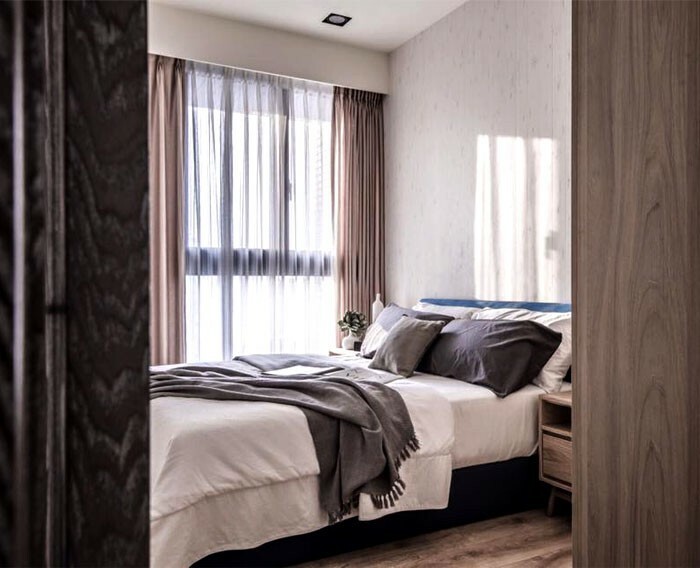 The architects dealt with this problem by means of bold structural changes – many non-load-bearing walls were successfully torn down for the sake of a more open, interactive and multifunctional space for a family couple with two kids. 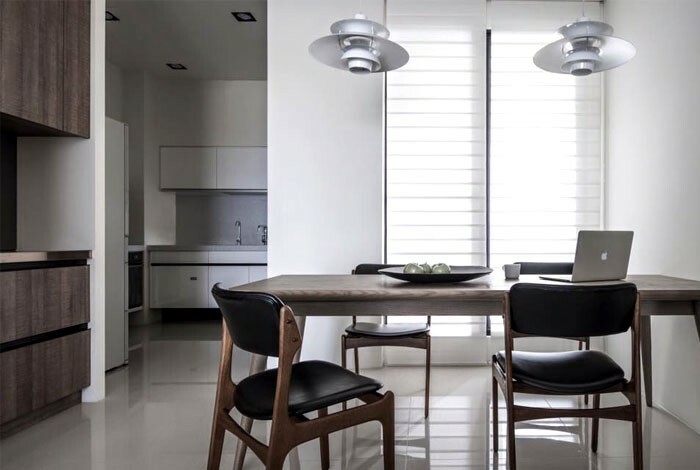 In particular, the living room was made open to the dining, kitchen and study areas, but with an option of isolation by means of sliding and folding doors. 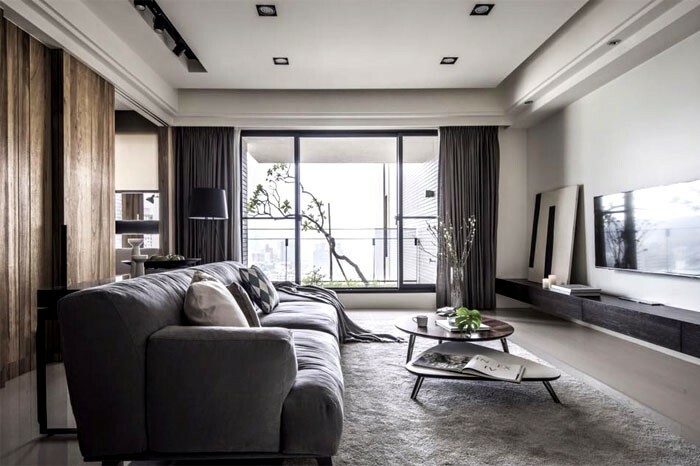 Indeed, the living room is definitely the heart of the space and its linking bridge. 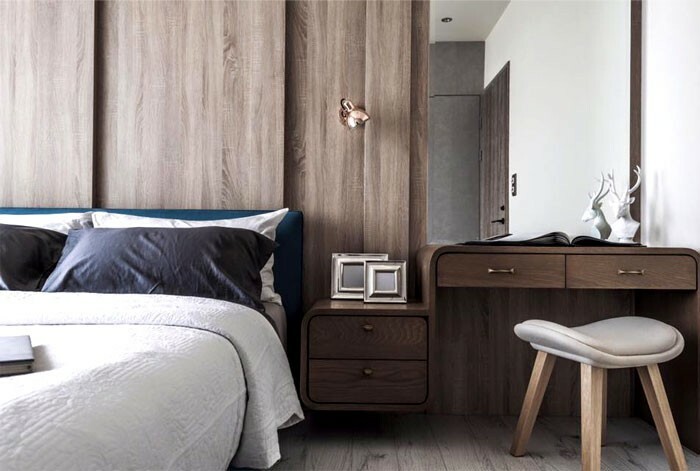 With the homeowner’s fondness of nature and simplicity in everything, the designers did their best to create an airy and naturalistic residential space that would be close to our subconscious impression of natural woodland. 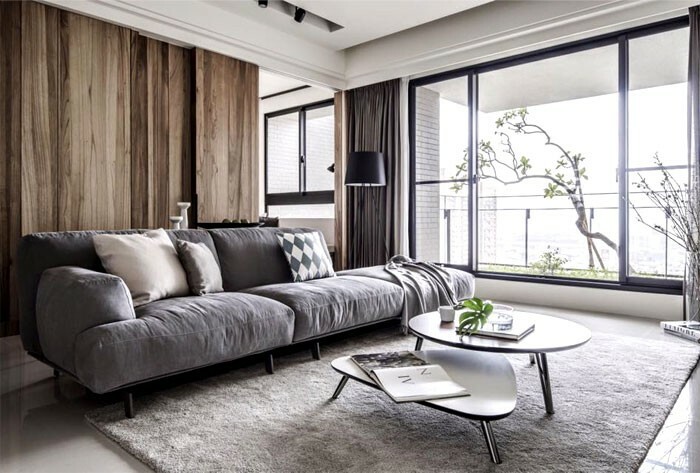 The idea behind the living room interior is really impressive: the sliding doors in solid wood with amazingly clear wood grain stand for trees and groves, a gray sofa coupled with a matching carpet represent a sand/pebble beach and white glossy flooring refracts the “natural” surroundings. 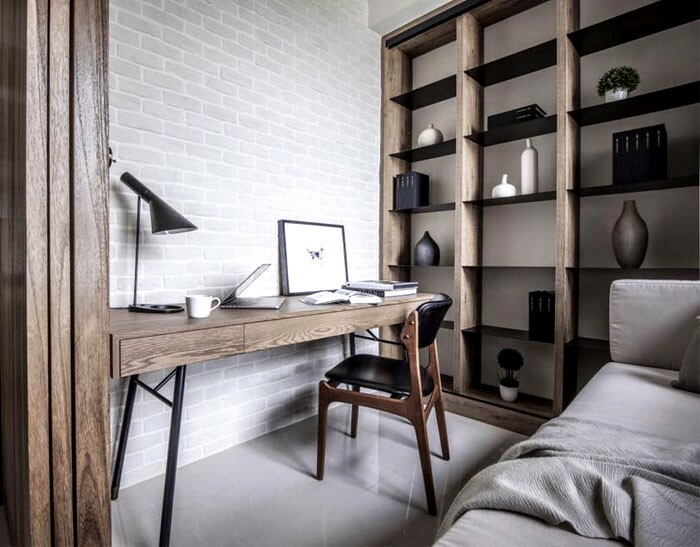 Further the genuine-forest concept penetrates into a small study and reading area, which can be optionally made open to the lounge zone or isolated with a sliding door for the sake of privacy. 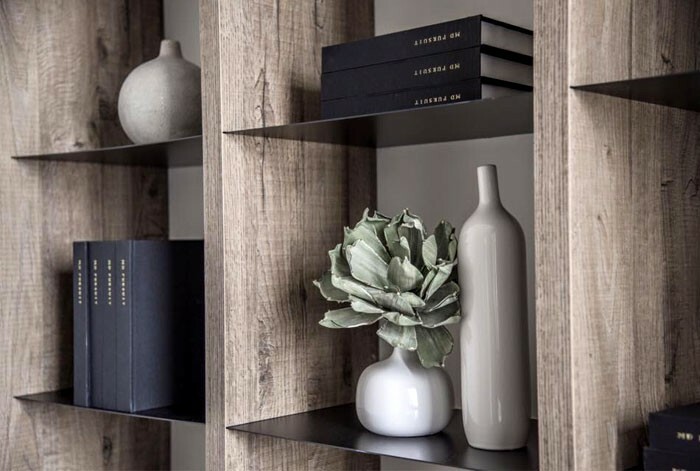 The idea behind it also sounds creative: the designers wanted it to be associated with a jewelry box hidden in the wood and its “jewelry” is a rich home library collection. 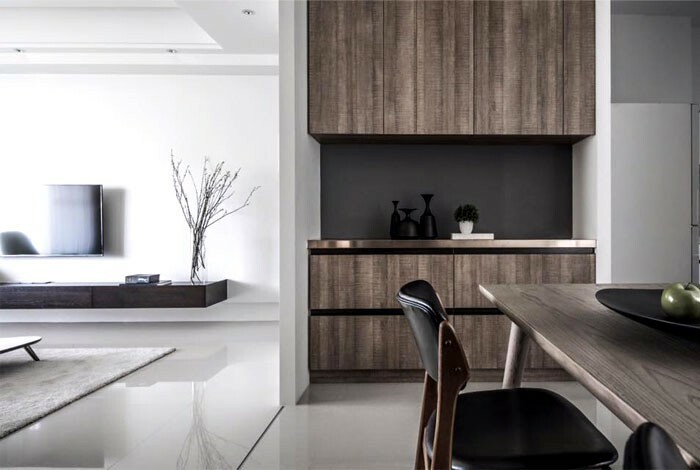 Imitation of natural surroundings is continued in a dining zone and kitchen, which can be separated by a folding glass door. 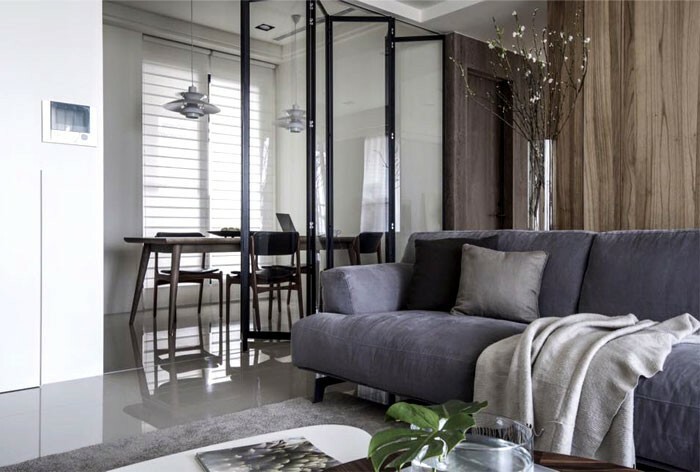 Amazingly, so laconically furnished and without a single piece of décor this space looks stylish and original. 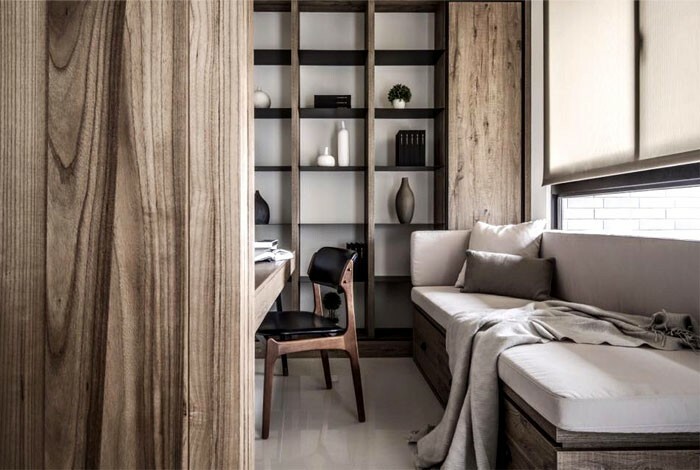 The secret lies in the materials – amazing wood finishes, with especially clear wood grain, and discreet color scheme look decorative per se, and to a great extent thanks to a perfect background of white walls and glossy white flooring. 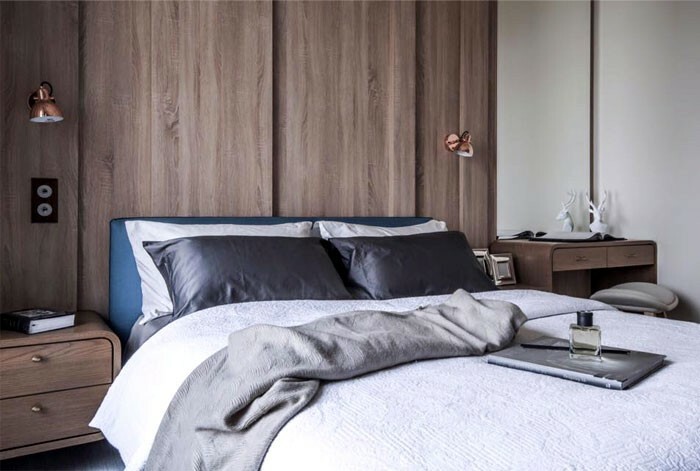 Following the pattern of public areas, the bedroom interiors are set by the same linear shapes, soothing colors and natural materials, which create the most amazing landscape that their inhabitants so much strive for.